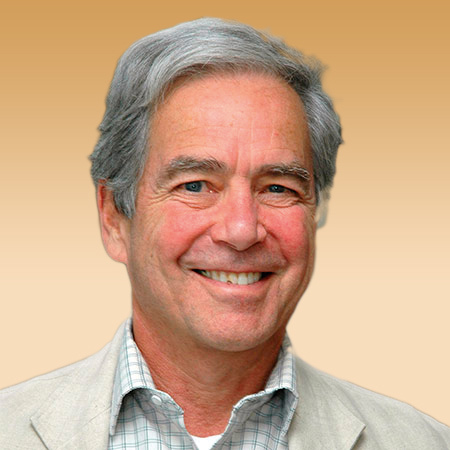 Edward Z. Tronick is a world class researcher and teacher recognized internationally for his work on the neurobehavioral and social emotional development of infants and young children, parenting in the U.S. and other cultures, and infant-parent mental health. Over the course of his career, Dr. Tronick has co-authored and authored more than 150 scientific papers and chapters. ??Dr. Tronick developed the Still-face paradigm, which has become a standard experimental paradigm for studying social emotional development in the fields of pediatrics, psychiatry, clinical and child psychology, and nursing. In his studies using the still-face he revolutionized our understanding of the emotional capacities and coping of infants and the effects of factors such as maternal anxiety and depression on infant social emotional development.?? Dr. Tronick has carried out research in Zaire, Peru, and India on child rearing and development. In Zaire, in his study the Efe foragers, he discovered the most extensive naturally occurring system of multiple caretaking for foragers yet described. In his research on neurodevelopment he has demonstrated the derailing effects of in utero cocaine and heroine exposure and the effects of obstetric medication on infant, the parent and their relationship. His studies of very low birthweight infants with white matter disorder have found key modules of behavior that are disturbed by the lesion. Recently, he and Barry Lester published the NICU Network Neurobehavioral Assessment, a standardized instrument for assessing the neurobehavioral status of the newborn.?? The goals Dr. Tronick's research are to understand the nature of the process of normal and abnormal developmental processed which are embedded in the moment by moment emotional and social exchanges of infants and young children and their caregivers. Further to determine the factors from malnutrition to drug exposure to parenting to affective disorders that disrupt and derail the normal developmental process. And, to develop ways to prevent and repair developmental derailment.?? The research has already produced several critical translational pieces of work. The NICU Network Neurobehavioral Scale has been used to identify infants who are suffering from neurobehavioral abnormalities. The Still-face paradigm has begun to be used to identify infants whose emotional and coping capacities are compromised and to identify relational disorders in infants and parents. The multiple caretaking system found among the Efe has had implications for the caring for infants in groups. As a whole the research in part has led to the development of the Touchpoints program of intervention developed by Brazelton, and to the Infant-Parent Mental Health Program for training professionals from pediatrics, PT, OT, social work, psychiatry to work with the mental health disorders of infants, children and parents and the relational disorders of children and parents. Dr. Tronick received his PhD from the University of Wisconsin, Madison, and completed post graduate training at Harvard University. He has served on NIMH, NICHD, NIDA and NSF review panels and on the equivalent review panels for the British, Canadian, Australian, Swiss and New Zealand governments. He has been a reviewer for the McArthur Foundation and has received grants from NIMH, NICHD, NIDA and NSF and from Genzyme and Merck. Dr. Tronick has consulted for WIC and for the WHO and UNICEF. He is a Fellow of the American Psychological Association. He is also the recipient of an Award for Excellence from the Boston Institute for the Development of Parents and Infants. The Napa Infant-Parent Mental Health Program, co-founded and directed by Dr. Kristie Brandt, won the National Association of Counties Best Program for Kids Award for the Napa Infant-Mental Health Program.